Jesse's Restaurant is located in the sleepy little village of Magnolia Springs, where the mail is still delivered by boat. Housed in the former Post Office, and adjacent to Moore Brothers Village Market, the charmingCafe draws visitors from miles around with its unique location and New Orleans-inspired menu. Best described as casual fine dining, Jesse's offers such entrees as Southern-style crab cakes over Cajun slaw, shrimp and tasso over creamy goat cheese grits, and its famous "whiskey steak." Located only 15 minutes from the Gulf, Jesse's is a great place for lunch or dinner. Jesse’s Whiskey Steak — a 16-ounce rib-eye — starts with a soak in Jack Daniel’s, Cajun seasonings, ginger and soy sauce for 24 hours before touching the grill. Among the world’s best-selling liquors, Jack Daniel’s Tennessee Whiskey has a history that dates back to the early 1900s. With its strong taste and Southern heritage, it’s no wonder that this whiskey has made its way into the kitchen. 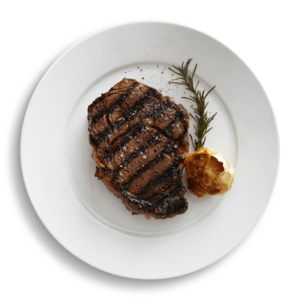 Jack Daniel’s provides a kick to any steak, whether it’s used in the sauce or in a marinade. The Whiskey Steak is grilled to preference over an open flame and has been one of the restaurant's most popular dishes for more than a decade.